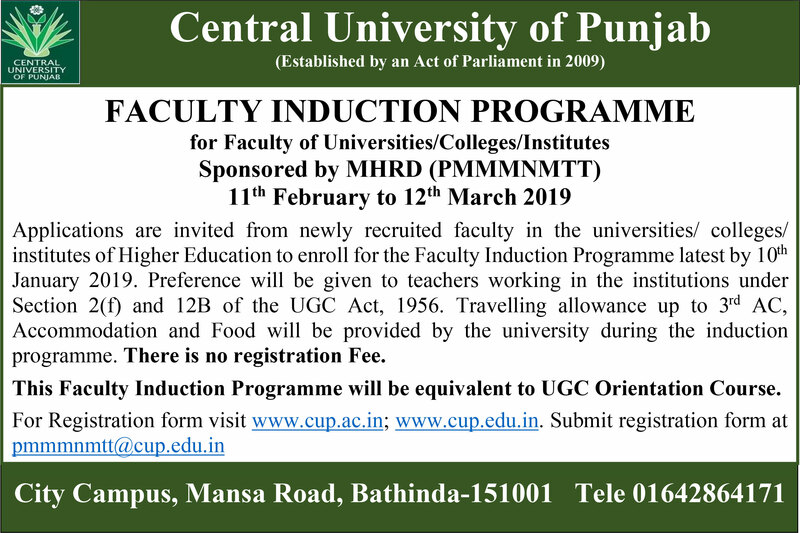 Central University of Punjab, Bathinda is organizing a Two Days Regional Workshop on Strengthening Human Resources, Legal Frameworks And Institutional Capacities to Implement Nagoya Protocol on March 16-17, 2019 in collaboration with National Law School of India University, Bangluru, United Nations Development Programme, National Biodiversity Authority and Global Environmental Fund. National Workshop on Curriculum Design and Development Sponsored by MHRD (PMMMNMTT) on Curriculum Design and Development for university/college Science teachers from 28th January to 06th February 2019. 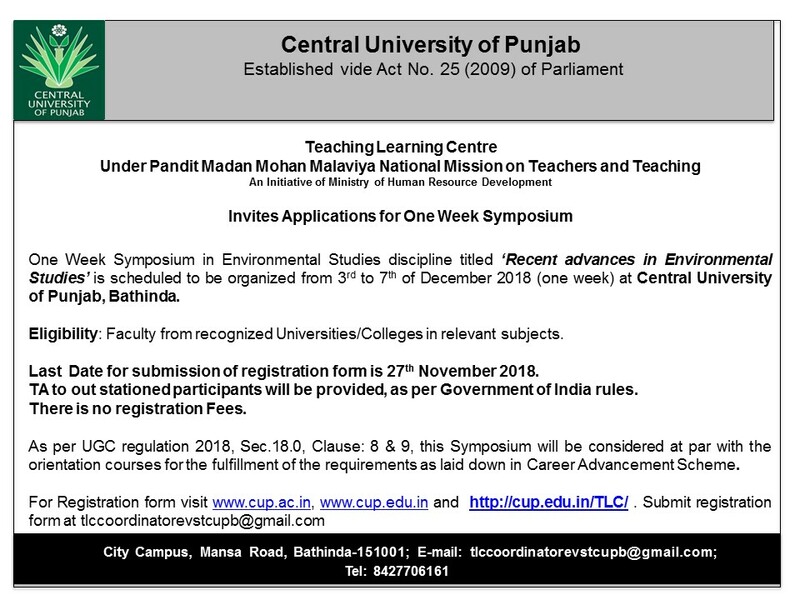 Invitation of Applications for One Week Symposium in Environmental Studies discipline titled ‘Recent advances in Environmental Studies’ is scheduled to be organized from 3rd to 7th of December 2018 (one week) at Central University of Punjab, Bathinda. Rs. 3000/- will be paid per module as remuneration. Last modified: April 04 2019 14:40:35.